Even high-quality wood windows can rot or develop problems over time. Here are expert ways to fix them. Repairs with home windows boil down into two basic groups: 1) fixing problems with window frames and sash, and 2) replacing or repairing window glass. In this article, we look at window frame and sash problems. 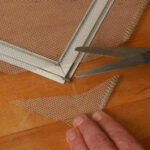 For information on window glass repairs, please see How to Replace or Repair Window Glass. Just to be clear, window sash is the part of a window that holds the glass. 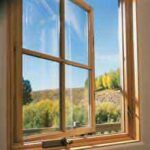 Windows may have either fixed or operable sash, as discussed in the article Window Buying Guide. Both types can have problems but, of course, operable windows may have additional issues with their mechanisms. 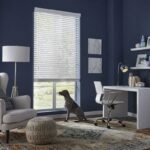 Operable windows usually work reliably for years, but, with time, their workings can become balky. Windows made from metal or composites have fewer problems created by weather than wood windows, because wood is prone to rot with prolonged exposure to dampness and can crack with exposure to sun. Wood is also delectable to termites. Double-hung wood windows—the type with a bottom section you can raise and a top section you can lower—are the biggest offenders. When they go bad, they’re almost impossible to open. Repainting wooden frames every three to five years, depending on your prevailing weather conditions, will preserve them—just don’t let built-up paint seal them shut. When painting them don’t let paint lap over any moving parts. Also, yearly maintenance, such as filling cracks with putty and caulking the edges, will go a long way toward protecting them. Even vinyl and aluminum windows need a little basic care to keep them working smoothly. You can scrub both types with a natural bristle brush and detergent solution. If you have anodized aluminum frames, you can restore their luster by polishing them with fine steel wool and then coating them with paste wax. 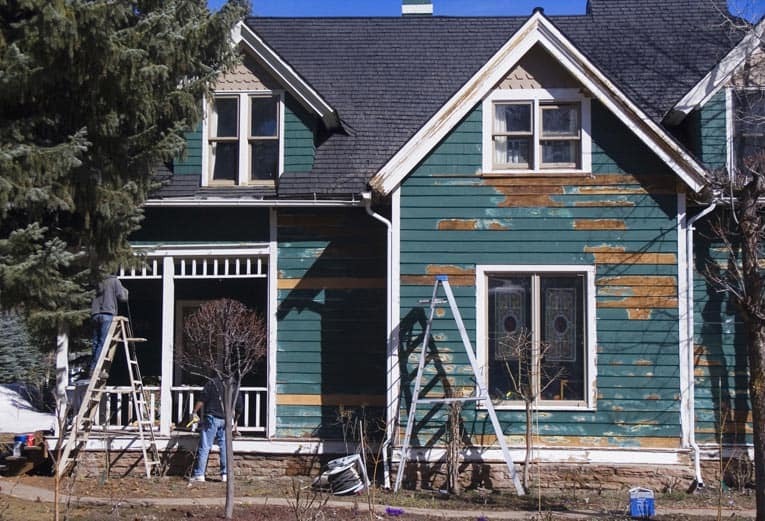 Where a wood sill or sash has taken serious abuse from weather, resulting in rot, you can use epoxy wood filler, available at home centers, to repair the area. (If large areas are affected, talk with a carpenter about cutting-out and replacing sections of the wood or the entire sash.) Contact a window replacement or repair contractor if you need help. With a chisel, clear away rotted wood. 1 Use a chisel to dislodge most of the loose, rotted wood. Drill a few 1/4-inch holes into the damaged wood. Soak the entire rotted area with liquid epoxy “consolidant” to transform the area into a sturdy base for filler. Let the wood absorb it for about five minutes and then reapply it, wait, and reapply it again until the wood ceases to accept the consolidant. Pack and sculpt a repair using epoxy wood-repair filler. 2 Mix a batch of epoxy filler according to label directions and begin to mold the repair. As the material cures, dip an old putty knife or flat paint stirring stick in solvent and use it to pack and shape the repair. After the repair is dry, sand it smooth. 3 Sand, file, and/or rasp the area until it is smooth and flat. Finish smoothing the patched area by applying vinyl patching compound. 4 Because the filler lacks pliability, the surface is likely to have dips and voids even after sanding. Use a putty knife to apply exterior-grade vinyl patching compound to fill any remaining holes and voids. Allow this to dry, and then sand it smooth and repeat if necessary. Finally, prime and paint within three days. The most common problem with double-hung windows is that they become stuck in their tracks. This can happen because of high humidity that swells the wood, accumulated grime that blocks the tracks, or repeated painting that seals together the surfaces. If a sash is temporarily stuck because of high humidity, simply waiting for the weather to change may solve the problem. If a sash moves reluctantly, clean the sash channels. If the channel is squeezing against the window, widen the channel by inserting a wood block where it binds and tapping it with a hammer. If grime is blocking the channel, use a sharp wood chisel to remove the blockage. Then, using medium sandpaper wrapped around a wood block, sand the channel. Finally, lubricate the channel with a coating of wax. Work a stiff, wide-bladed putty knife between the sash and the frame, and then tap it with a hammer. If you can’t budge the window, use a utility knife to cut the painted edges of the sash. Then work a 3-inch-wide putty knife between the sash and frame and tap it with a mallet. From outside, wedge a prybar between the sill and sash; work alternately at each corner so the sash moves up evenly. Protect the sill with a wood block. Use a utility knife—or, better yet, a special little tool that looks like a serrated metal spatula called a window saw (available at paint and hardware stores for about $10)—to cut through the paint all around the movable sash. Be careful not to leave any areas uncut both inside and out and also take care not to damage the painted surfaces. Make sure the window is unlocked. Also make sure that there are no nails or screws securing the sash to the jamb; if there are, remove them. Then try to force the window open with abrupt force, using the heels of your hands. 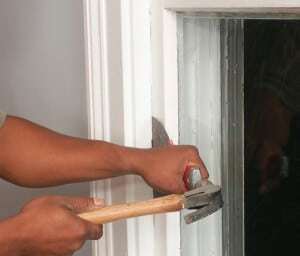 If that doesn’t work, try to free the window with a wood block and a hammer or mallet, but be careful not to jar the window so hard that you break the glass! Once you get the window open, brush away the loose paint. Although many windows suffer from being too tight—or worse, completely stuck—another occasional problem is a window sash that is too loose. All wood shrinks to some degree over time, and wood wears down from use. The result is a window that rattles in its tracks. A sash that is too loose can be tightened. If the gap is not too wide and the stop is nailed rather than screwed, you can adjust the stop slightly without actually removing it. Score the paint between the stop and the jamb, and place a cardboard shim between the stop and the sash. Protect the stop by holding a block of wood against it, and hammer toward the sash along the length of the stop until the paint film breaks and the stop rests against the shim. Then secure the stop with finishing nails. For wide gaps, reposition the stops. Another easy fix is to add an insulation strip to the face of the old parting strip. It may take up just enough slack in the window, and it also adds protection against the elements. Do you have a double-hung window that won’t stay open unless you prop it up? Most of the time this is caused by a broken sash cord. This is an inexpensive and relatively easy fix, but it does take a bit of time. 1 Remove the interior stops. To do this, you’ll probably have to slice the paint seal with a utility knife and then, using an old chisel, pry off the moldings. 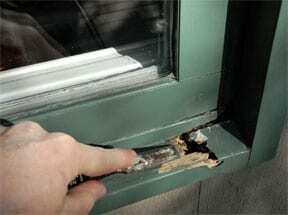 If the window has weatherstripping, remove it. 2 Tilt out the bottom sash and remove the sash cords. Lower the weights carefully (if both sash cords aren’t broken). If you want to replace the sash cords in the upper sash, you’ll have to pry out at least one of the parting strips to remove that sash. When you pry the parting strips out, they will more than likely be ruined, so plan on buying new ones at a lumberyard. 3 Remove the access panel covers located on the inner face of the window frame. 4 Pass new #7 cotton sash cord over each top pulley and feed it down until it drops into the access area. If necessary, use a bent coat hanger to pull it through the access hole. 5 At each side, tie the end of the cord onto the sash weight and then, with the weight sitting on the bottom of its channel, pull the cord taut and cut it off about 4 inches from the top pulley. 6 Tie a knot and push the knot into the top slot at the side of the sash. Tack the knot with a brad. Test the action of the window up and down. 7 Reassemble the rest of the window, reversing the order of disassembly. Be sure the stops are not so tight that they cause the window to bind. The sill is the part of the frame that takes the worst beating because it extends out from the window. To protect a particularly vulnerable sill, you can cover it with a sheet of aluminum and paint it to match the wood. This is actually a very easy project and offers excellent protection. Trim sheet aluminum with tin snips. First, cut a paper template that fits the sill. Lay the template on sheet aluminum (available in rolls or sheets at home improvement centers), and mark the pattern on the metal. Using tin snips, cut out the pattern. Caulk the sill edges and wedge one side of the aluminum to the stool of the sill and nail it in place with 1-inch roofing nails. Cover the area needing protection, then paint. Tape a block of wood over the surface of the aluminum and tap it with a hammer so the aluminum takes on the shape of the sill. Nail it underneath the sill and seal it along the edges with caulking compound. Prime with metal primer and paint to match your trim.